In Florida, an accident can happen anywhere and at anytime, and many of those accidents can lead to personal injuries. When someone suffers a personal injury, one of the things they need to think about is whether they need to hire a personal injury lawyer or not. That is because there are some cases where hiring a personal injury attorney is absolutely necessary and some occasions where it is not. In many cases, it is worth hiring a personal injury attorney because they can take care of the intricate legal matters in the case, and get the injured person the compensation they need. Should the situation arise where someone suffers a serious personal injury in Florida, then hiring the right personal injury lawyer in Lakeland, Davenport, or any Florida city, is a must if they want to avoid any excessive injury-related payments. If the injury and/or damage from the accident are relatively minor and no hospitalization or extensive repairs are needed, then you can settle the insurance claim on your own. If all parties involved in the incident, and the insurance company, are amenable, then a personal injury attorney may not be necessary. However, if the accident caused debilitating injuries that require medical care, then you should retain the services of a personal injury attorney to intervene on your behalf. They will be able to sort out the legal complexities involved in your case and fight to get you the recompense you need to take care of medical bills and other injury-related expenses. Should you be involved in any of the following situations, hiring a personal injury attorney could be of vital importance. A personal injury attorney has the legal knowledge to get you the compensation needed to take care of any and all of those consequences. The situation can get complicated in cases where many people are involved in the accident. The insurance claims process can become complex very quickly If multiple people are liable for your injuries or multiple people have been hurt in the accident. In the former case, the responsible parties may point the finger at each other and refuse to pay, in the latter situation, the multiple insurance claims may leave you with a smaller than necessary settlement. The parties involved may also claim that you were partially—or completely—at fault for the accident. In all of the above scenarios, a personal injury attorney can sort through the cross-claims and counterclaims that may arise to make sure that you are properly compensated, and that you do not take the burden of blame for the accident. Sometimes an insurance company will offer an unfairly low settlement or even no settlement at all. At other times, they will act in bad faith to reduce or deny your claim. A personal injury attorney in Florida can deal with the insurance company and make sure that you get the recompense you deserve. Situations involving serious personal injury and complicated insurance claims can be complex, so you should never attempt to navigate those turbulent legal circumstances by yourself. 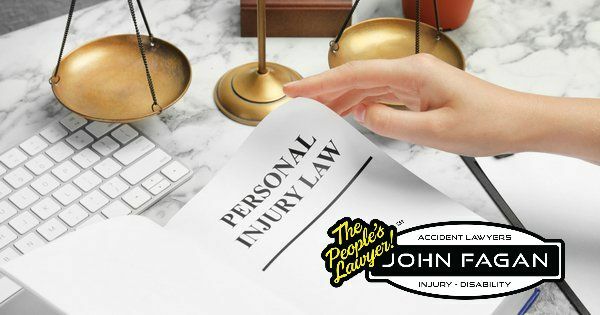 You should hire a professional personal injury attorney to be your guide, they will lead you to the compensation and peace of mind that you deserve.